The project is funded by the Australia Centre for International Agricultural Research (ACIAR) and A4NH to improve the livelihoods of the rural and urban poor in Vietnam by reducing the disease risks associated with pig farming and trade in pig products. The research team assessed the impacts of pork-borne diseases on human health and the livestock sector and identified critical points for risk management. The PigRisk team’s economic evaluation of food-borne disease showed that costs per treatment episode and per hospitalization day for food-borne diarrhoea cases in Vietnam were US$106.9 and US$33.6 respectively. Findings from the project’s food safety risk assessments were translated into policy which contributed to a government report on food safety risk management in Vietnam. 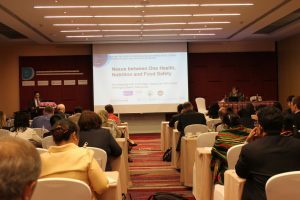 Over 200 participants, including policymakers, researchers, students, and representatives of government, civil society, the private sector, and development partners from approximately 30 countries in Asia and the Pacific, North America, and Europe attended. 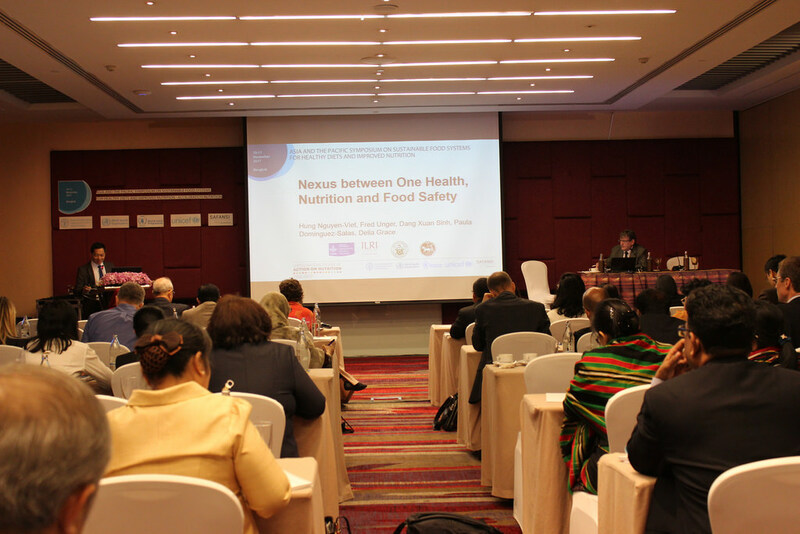 It was co-hosted by Food and Agriculture Organization of the United Nations (FAO), the World Health Organization (WHO), and The United Nations Children’s Fund (UNICEF). This post, by Chi Nguyen, originally appeared on ILRI Asia.